Happy Thursday ! 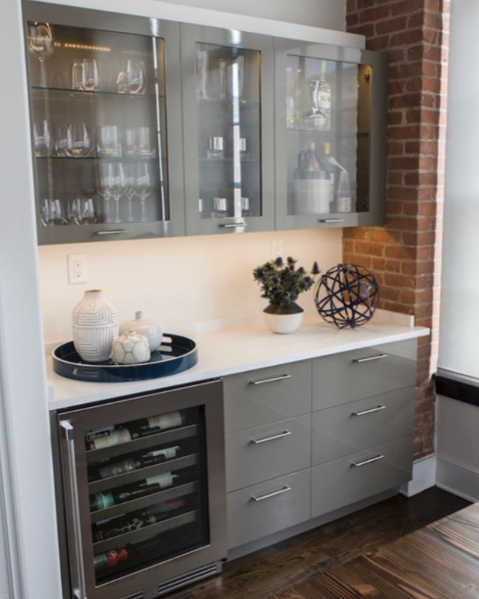 Reflecting back to our Sugar House loft project and this particular bar area- It is difficult to figure out decorations for a small area that is mostly consists of glassware and bottles, but here are some ideas! Some unique ceramics, sculptures, and plants. I hope everyone has a relaxing weekend coming up !